Welcome! 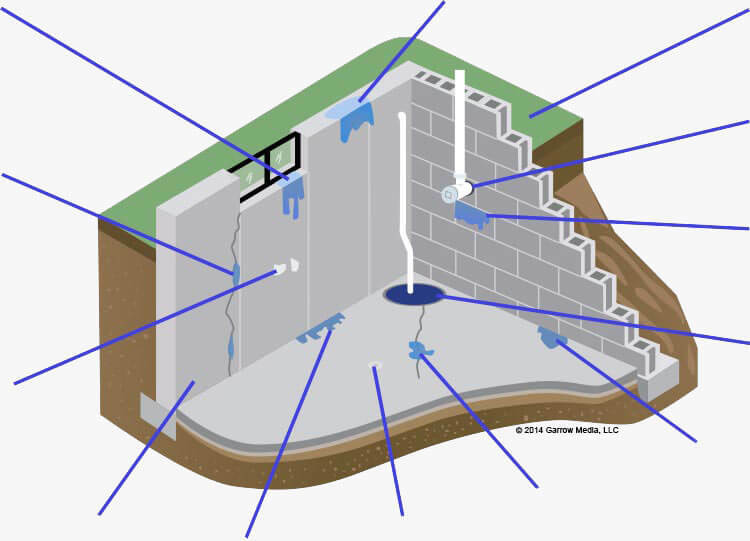 On our site, you will be able to find out information about anything you have ever wanted to know about waterproofing your basement. Here, you can find out why you have leaks when it rains, why there is mold growing on your walls or floors, or even why it is so important to be sure that all moisture problems are taken care of quickly before they lead to even more damage. We will detail different methods and products used to take care of seepage problems, and if after you have read through everything you feel as if it is time for a professional to step in and take care of the work, we will help you to find a waterproofing contractor in your area. 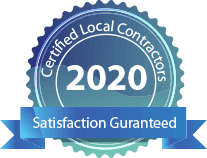 Our waterproofing contractors are certified, insured, and have many years of experience taking care of leaks and humidity problems in homes just like yours. They will be able to provide you with a free consultation and estimate so that you can get a better idea as to how much the work is going to cost, and what exactly will be done to fix your wet basement problems for good. We will be able to provide you with a profile of each member we work with. We have local waterproofers all over the United States. Be sure that you take a few minutes to read through our information regarding some more common basement problems and some easy ways they can be fixed. You can try these methods on your own, but if the problem persists, it will be a good idea to fill out our online contact form to find a contractor in your area to help you take care of your leaks and various moisture-related problems under your home. Basement Maintenance is your #1 one stop for all things basement-related. Find out why this area of your home has problems with moisture, mold, or humidity, and learn how you can take care of the problem(s) on your own. Learn about efflorescence, wall or floor cracks, pipe penetration, sump pumps, and more. If the leaks persist, fill out our online contact form and a waterproofing contractor from your area will be in touch with you shortly to schedule an appointment for a free consultation and estimate. 1Be sure that your gutters are not clogged or filled with any debris that could be preventing water from being sent out through the downspout like normal. It may be a smart idea to get a gutter cover installed to prevent leaves, acorns, pine cones, seed pods, and other outdoor debris from clogging the system up. 2If you have downspout extenders, make sure that they are at least 10 feet away from your foundation. 3Be sure that the grading around your foundation is adequate. You may need to add some top soil around the foundation so that water will flow away from your home and into the lawn. The proper slope for this area should be 1/4" per each foot. 4Be sure that large trees are planted at least 20 feet away from your foundation. Otherwise, the roots of the tree could extend outward and into pipes, drains, or even into your foundation walls over time. 5Check plumbing lines coming into your home. There shouldn't be any gaps which could let water in during the rainier seasons of the year. If there are, fill them with an epoxy or urethane crack filler. 6If your basement feels very humid, or if your home smells musty, it's likely that you'll have mold growing in this space. Installing a dehumidifier will help to control the amount of moisture in the air and improve indoor air quality for your home. 7If you already have a sump pump installed, make sure that it is plugged in and working as it should. You can perform a "water test" on your own by dumping a bucket of water into the basin. If the sump pump doesn't switch on, it is going to need to be inspected. 8Make sure wall and floor cracks area sealed with a water-tight epoxy. This way, water from a rising and falling water table won't be able to get inside and cause problems. 9Make sure your window well drains are clear of any obstructions which could prevent rain water or melting snow from being drained away properly. Otherwise, this water will pool up in your wells and eventually make its way into your home. 10If the above "fixes" don't take care of leaks under your home, then you will likely need to have a drainage system installed. There are interior and exterior drains. Exterior drains are sometimes referred to as French drains. Interior drains can run along the perimeter of your basement and collect water from the walls and floor. This drain is then connected to a sump pump which will push the water out and away from the home to a safe distance away.